A fantastic idea for Hen and Stag Parties, but also as a Wedding Gift - A vintage style photo shoot. Lekeux offer a Pin up Photo Shoot for £99 per person. 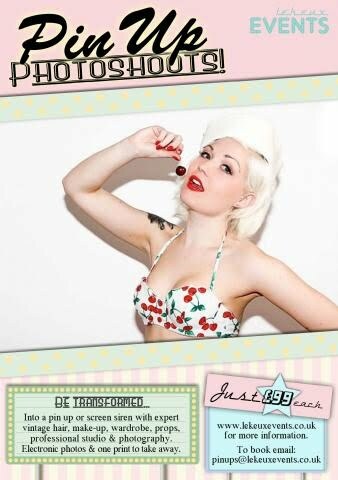 All prices include vintage hair, make-up wardrobe, props and professional photography plus four fully edited digital photos. For more details click HERE.